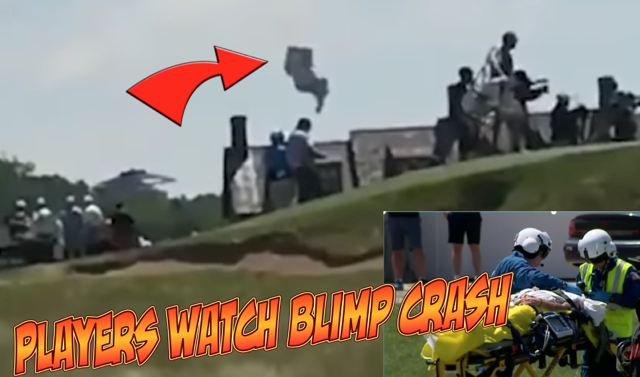 There was only a fleeting reference to the blimp crash at the US Open but it was serious. It happened in full view of the players and spectators. The pilot was pulled to safety just before propane tanks exploded and was treated afterwards for burns. It was initially thought he had parachuted out. And here's footage from the course. Let's hope he is ok.